As the population continues to age, financial advisors have been bracing for major demographic shifts, such as the mass migration of baby boomers into retirement and the coming intergenerational transfer of wealth. On a smaller scale, but with no less significance is the swelling ranks of widows in the United States, numbering more than 13 million in 2016 and growing by nearly one million a year. Considering that 70% of widows seek to change their advisory relationship, financial advisors would do well to retrofit their practices to cater to this important demographic. The following tips can be crucial in preparing financial advisors to support widows in their time of grief while helping them navigate the rest of their financial lives. According to Kathleen Rehl, PhD, CFP of Rehl WEALTH Collaborations, widows typically go through three stages, which dictate how financial advisors should approach the relationship. Stage 1 is the grief phase when a widow is most vulnerable, in large part because her thinking is impaired. During this time, she needs to know that her financial advisor understands her. It is a time for empathetic listening and reassurance, when major life or financial decisions should be avoided. Her most urgent need is to get her financial house in order, including securing her cash flow, filing for benefits, changing account titles and organizing her finances. Stage 2 is the growth or journey stage, when she is more prepared to engage in planning her financial life. It is the time to focus on basic financial planning issues, such as investments, taxes, pre- and post-retirement and estate planning. Any discussion of her future living arrangement can begin here. Advisors still need to be emphatic listeners; however, she is more open to suggestions and is better able to understand them. Stage 3 is called the grace phase, when a widow is ready to focus on herself and how she wants her life to unfold. It is a time for discovering a new purpose and embracing her independence. She may find it through her career or her family or through deeper involvement in her community. This is when the work of advanced estate and charitable planning begins. Some widows may already have a cadre of advisors, including an attorney, an accountant and an insurance professional. However, without coordination or collaboration between the various disciplines, the advice is often disjointed or even contradictory, which can lead to confusion or paralysis in her decision-making. Financial advisors are best positioned to function as the team quarterback to ensure all advisors are on the same page. This will do more than anything else to provide your client with the assurance that her needs are being met. If she doesn’t have existing relationships with other advisors, you help her form the advisory team. If she has referrals from friends and family, you help her with interviews and due diligence. You can also tap your own professional network. In either case, it should be her decision aided by your counsel. Anyone who has ever attempted to learn a new skill or achieve a higher level of performance understands the value of a coach. A good coach works with his clients to educate them, set goals and keep them on course towards achieving their goals. More importantly, a coach keeps his client from making critical behavioral mistakes. In trying to gain control of their financial lives, most widows are on unfamiliar ground. They need guidance every step of the way, but they don’t necessarily want to be led. Widows want to build their understanding and confidence by learning how to make good decisions. A financial coach is her partner in that learning process, teaching her what she needs to know and thinking alongside her to come up with the right solution. A financial advisor also needs to be the voice of reason for widow clients who tend to let their emotions guide their decisions, especially when there are family members involved. Well-intentioned family members may think they know what’s best for their mother, pushing her in one direction or another toward a major decision. Financial advisors must step in as the voice of reason to educate their clients and family members on the merits of any big decision. In this role, you are also the only one who can stand between your client and her family members who may look to her as source of money. It is important to work with your client early in the planning process to establish guidelines for family support. She needs to understand the financial limits of her benevolence in the context of her future financial security. Considering that the average age of a new widow is 59 with a life expectancy of 21 additional years, many widows have an entire life stage ahead of them. 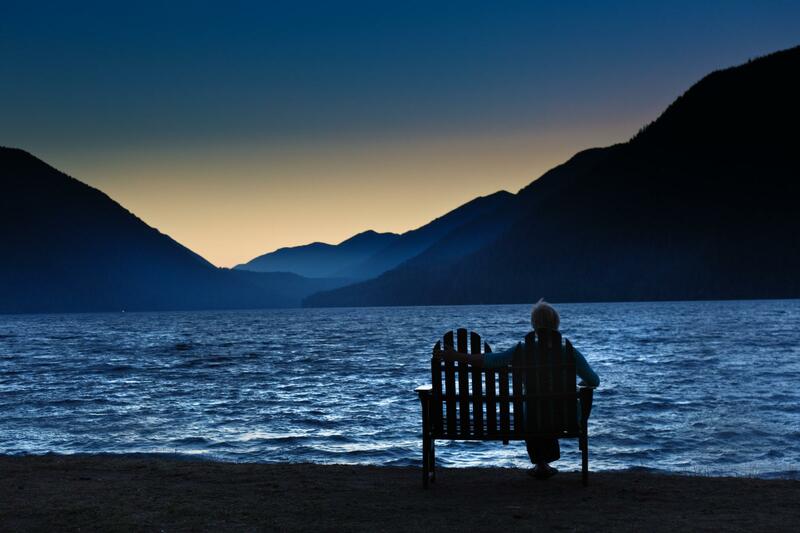 While it may take a few years for a widow to move beyond the grieving stage, she will eventually come to embrace her independence and opportunities for seeking fulfillment in other areas of her life. In the beginning, she needs to know that she will be safe and secure, but, at some point, she will want to explore what life has to offer. Helping her in planning this stage of her life can form the foundation of her legacy plan, which can involve her children. By helping her to better understand the value of her human capital and how it can be utilized to fulfill new ambitions, you not only earn your client’s lifelong loyalty, you earn the gratitude of her children. By the way, nearly 90% of heirs change financial advisors promptly after receiving their inheritance, but that is the subject of another article. Working with widows can be a long and arduous process, but working to help them regain their financial footing, confidence and life ambition can be extremely rewarding. Developing the capacity to help widows through the three stages of widowhood can position you as an authority in a fast growing market segment that is expected to control trillions of dollars in assets over the next 30 years.